Nathan Hauritz ensured he’ll be considered again during the Ashes Series after bowling NSW to a 199-run win over Western Australia in the Sheffield Shield game in Perth, but his captain feels he should never have been dropped. 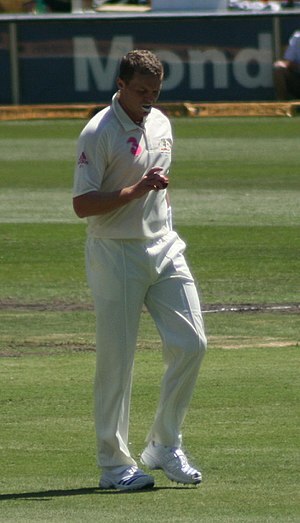 Hauritz was left out of the Australian team to play England in the first Test at the Gabba and remains out of the squad for the second in Adelaide on Friday. But his 5-39 off 27 overs today to bowl NSW to a big win at the WACA made sure he will not be forgotten. 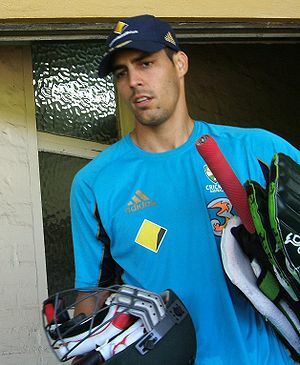 A CLOUD hangs over Mitchell Johnson‘s immediate career after a suddenly desperate Australia added Doug Bollinger and Ryan Harris to the Test squad. The pace duo, despite fitness concerns, were included in an expanded squad for the second Test in Adelaide, beginning on Friday. Overlooked for the first Test because he was underdone, Bollinger will be dragged out of a Sheffield Shield match in Perth today and sent to Adelaide as Australia attempts to revive its Ashes hopes following a depressing draw in Brisbane yesterday. A stylish century at the perfect time should extend Mike Hussey‘s Test career at least into next week’s Ashes opener, but the axe is set to fall on spinner Nathan Hauritz. Hussey will be picked on Saturday in what is expected to be a 13-man squad for the Gabba first Test, after stroking 118 for Western Australia in their MCG Sheffield Shield match against Victoria on Friday. His form would have heartened selectors, as would have an impressive five-wicket first innings haul to Australia and WA paceman Mitchell Johnson against the Bushrangers on Friday. Australia’s attack for the Gabba Test is not set in stone, but they are taking no chances with any of their fast bowlers in the lead-up to the match. Peter Siddle, Ben Hilfenhaus and Ryan Harris will all be rested this week, with Mitchell Johnson and Doug Bollinger the only members of the pace attack who will take part in the round of Sheffield Shield games starting on Wednesday. AUSTRALIAN paceman Mitchell Johnson has scored his first Sheffield Shield century to help Western Australia reach 368 in its first innings against Victoria at the MCG. 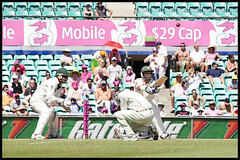 Johnson was left unbeaten on 121 from 143 balls, with his free-flowing innings including 18 boundaries and a six. 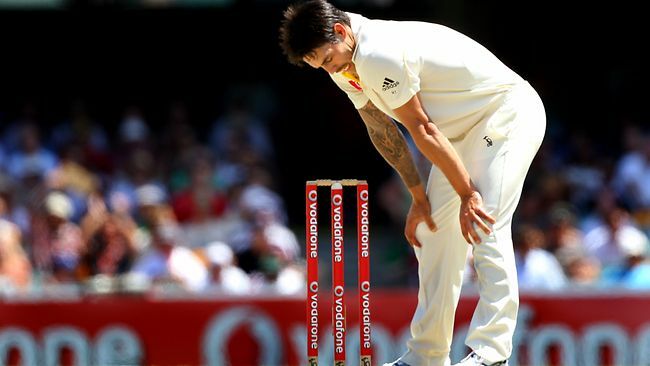 In do soing he has succeeded where the bastman selected in Australia’s Ashes squad for the first Test have failed for the past two days.